In today’s world, children rarely know how to communicate because they are always getting information one-way. They are watching the TV, iPad, or video game. This leaves very little room for two-way communication. The same thing is happening to adults, we’re getting everything from without. Blitz from the media, advertising, engulfed in our cell phone, email, and all the so-called conveniences of life, we are becoming one-wayers ourselves. This is why we must turn back inwardly to give our brains a break. It is good to allow yourself time to meditate or “space out,” daydream, or mind travel to give your mind a breather. This will help you gain perspective and slow down your days so you are able to focus on your inside world, which is woefully neglected in today’s world. For at least 15 minutes a day, let loose in daydreams, meditation, listening to music (perhaps just instrumentals and let your mind travel), and basically unplug. 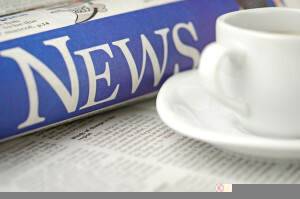 Find the news of your world from within to keep you healthy and energetic. Do you have tips or stories of you unplugging or daydreaming? Leave them in the comments below. Overcome Negativity and Pessimism Today!